Tag Archive | "track and field"
Results of the 2013 BIIF Track and Field Championship held at Hawaii Preparatory Academy Saturday (May 4). Konawaena is the top Big Island school in the girls events taking fifth place while Hawaii Prep boys took seventh place honors at the state track and field championship on Maui Saturday (May 7). Full event results. Friday was the first day of the Hawaii High School Athletic Association Track and Field Championships at Maui’s War Memorial Stadium. Results from the event. Results of the all-comers BIIF track and field meet at Hawaii Preparatory Academy in Waimea. Full results of the Kamehameha Schools – Hawaii Track and Field Invitational in Keaau on Saturday (March 19). 2010 BIIF Track and Field Championship results from Konawaena High School Friday and Saturday (May 7-8). 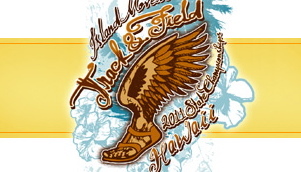 Results from the BIIF all comers track and field meet at Konawaena High School Saturday. HHSAA track and field images from Keaau High School. Click on above image to view PDF format results.